Whether you are Mexican or not, Cinco de Mayo is a fun day to eat your favorite Mexican dish! This year I wanted to share my favorite with you! What's more is I get to share my favorite appliance in my kitchen with you again as well. Many a night in my home, I am making myself dinner. Making a dinner different than what the rest of the family is eating as I am Gluten Free. A quick boil of Quinoa and some of this delicious salsa make for a perfect meal for me. Light in calorie and heavy on flavor! This salsa is so easy to make. The hardest part is getting everything at the store. After lugging around a 3 year old who wants to buy everything with bright colors and eat all the candy before the cashier can check you out is definitely the hardest part about this whole recipe! So, let's get to it! Container: 72-ounce Pitcher to your Nutri Ninja Blender. 1. Place all of the ingredients into the 72-ounce Pitcher in the order listed, starting with tomatoes. 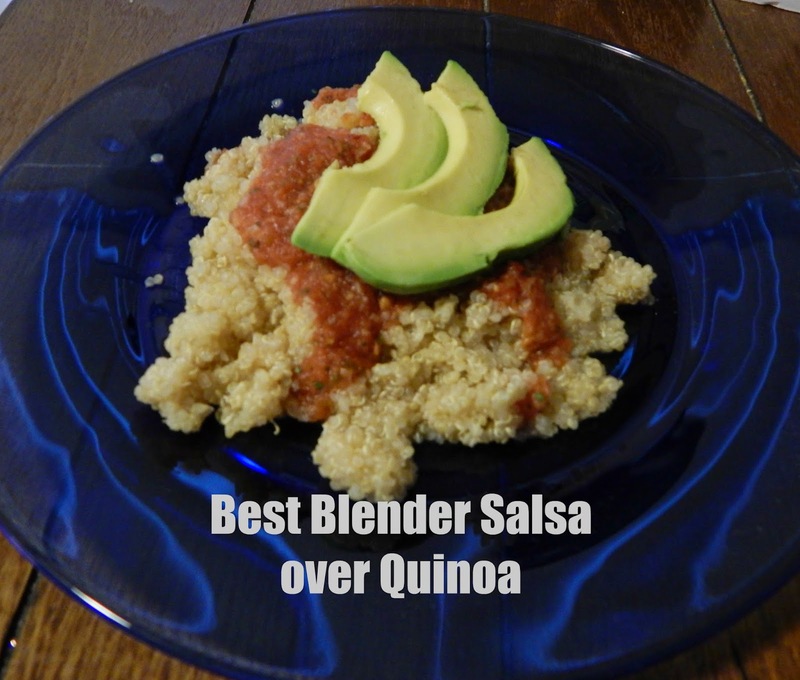 I love this salsa over a bed of quinoa and garnished with a few slices of avocado. Prepare the quinoa according to the directions. Drizzle a few spoons of Best Blender Salsa over the top. Add your slices of avocado to the top. I like to cut them up to have a few bits in each bite. 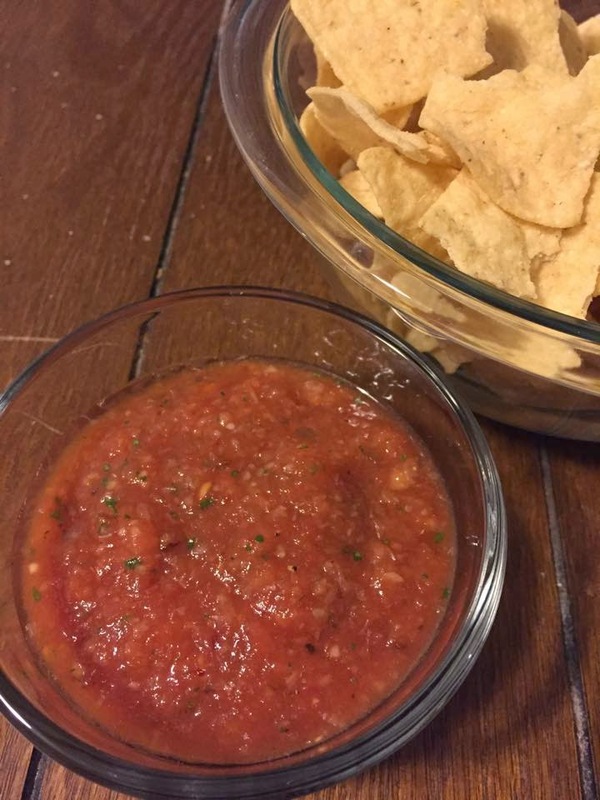 What is your favorite food to pair with salsa? Oh my gosh, this salsa looks amazing!!! Seems super easy to make too! My favorite thing to pair with salsa is really good chips. I'm going to try this recipe, thanks for posting it! Your salsa must me==be nutty because of avocado, I would love to give that a try! I haven't tried quinoa on anything so this will be a great chance to try it. Sounds good. hubby loves salsa. I have never had quinoa? Is it good? This looks very delicious and healthy too! I love all kinds of salsas, so this would be a great one for me to try.